Rapid advancements in the technology and techniques allow SERVPRO of Southeast Portland Professionals to restore a property back to preloss condition quickly, reliably and more effectively. • An infrared camera may be used to identify water location for thorough water removal. • Submersible and gas-powered pumps for continuous pumping of high-level water. • Truck-mounted and portable extraction units perform efficient water removal. • Industrial grade dehumidifiers pull the water vapor from the air. • Deodorization products control odors from excessive moisture. • Disinfection products stop the growth of bacteria, fungi, mildew, and other harmful microorganisms. SERVPRO of Southeast Portland takes great pride in being a part of the Southeast Portland community. We understand that communities like ours hold America together. Recently participating in the Hope Gala for the local Catholic Charities was a great way to be involved in our community. We want to do our part to ensure the Southeast Portland community thrives by helping those less fortunate, keeping the area safe and making our community the best it can be. 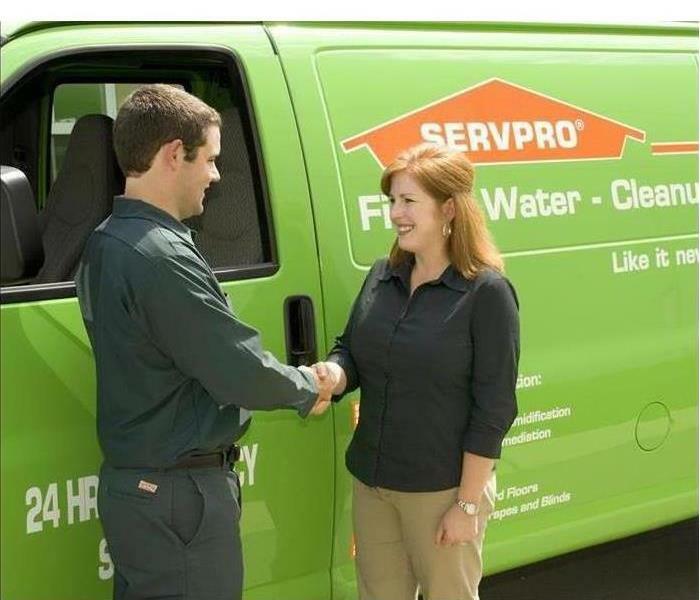 As a locally owned and operated business, SERVPRO of Southeast Portland is close by and ready to respond to your cleaning or restoration needs. We are proud to be an active member of the Portland, OR community and want to do our part to make our community the best it can be. Flooding and water emergencies don't wait for regular business hours and neither do we. 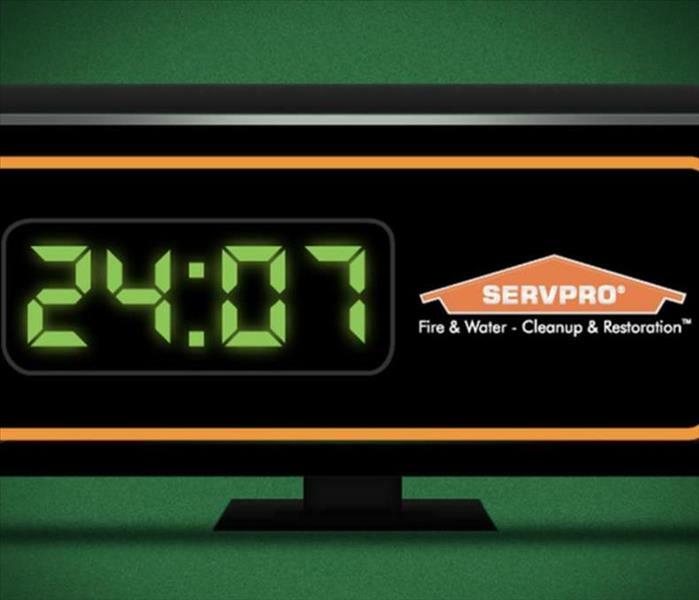 SERVPRO of Southeast Portland provides emergency cleaning and restoration services 24 hours a day, 7 days a week—including all holidays. You can expect an immediate response time, day or night. • Water quickly spreads throughout your property, saturating everything in its path. • Water is absorbed into walls, floors, upholstery, and belongings. • Furniture finishes may bleed, causing permanent staining on carpets. • Photographs, books, and other paper goods start to swell and warp. • Drywall begins to swell and break down. • Metal surfaces begin to tarnish. • Furniture begins to swell and crack. • Dyes and inks from cloth and paper goods spread and stain. • A musty odor appears. • Mold and mildew may grow and spread. • Doors, windows, and studs swell and warp. • Metal begins to rust and corrode. •Furniture warps and shows signs of mold. • Wood flooring swells and warps. • Serious biohazard contamination is possible. Restoration time and cost increase dramatically; replacing contaminated materials and structural rebuilding may be extensive. Structural safety, mold growth, and biohazard contaminants pose serious risks to occupants. As a trusted leader in the restoration industry, SERVPRO of Southeast Portland understands the stress and worry that comes with a fire or water damage and the disruption it causes to your life and home or business. Our goal is to help minimize this interruption so you can get back to living your life. At SERVPRO of Southeast Portland, we are dedicated to restoring your property to "Like it never even happened." As a locally owned and operated company, providing our friends and neighbors with the best possible customer service is our business. We are proud to serve our local communities; Portland, Mt. Scott, Lents, Hawthorne, Woodstock, Sellwood, Westmoreland, Eastmoreland, Brentwood-Darlington and Brooklyn. In addition, SERVPRO can help manage the insurance paperwork and process for you. Our staff is highly trained in property damage restoration. From initial and ongoing training at SERVPRO's Corporate Training Facility to regular IICRC, (Institute of Inspection Cleaning and Restoration Certification), industry certifications, and continuing education classes. This self-paced program includes; Crew Training, Fire Restoration, Water Restoration and Carpet and Upholstery Cleaning. Certification is awarded after successful completion of course materials and an examination. When it comes to voluntary training the SERVPRO program is designed to be an ongoing, self-paced coaching series for a franchise's employees. E-learnings, such as video presentations and support materials are followed by a knowledge test at the end of each module. 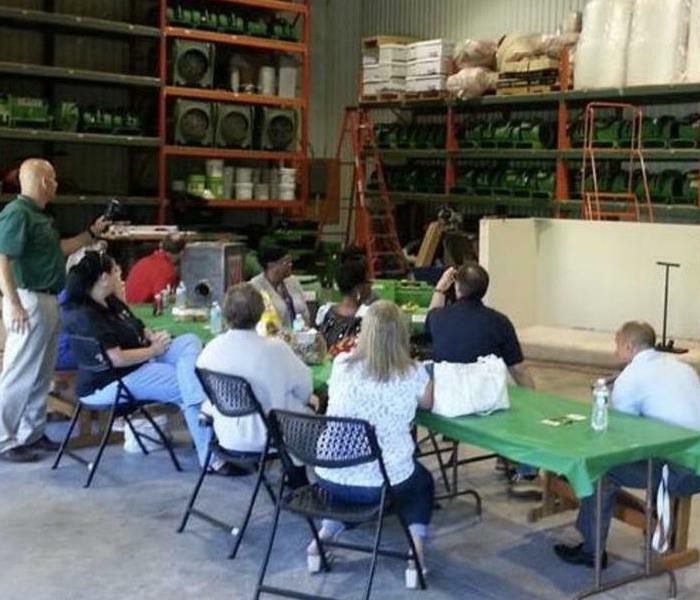 This keeps our technicians and office staff up to speed on industry standards and the professional quality you expect ensures each of our locations is trained through this 15-day hands-on course which is the foundation of the SERVPRO success. Rest assured, our staff is equipped with the knowledge to restore your property. 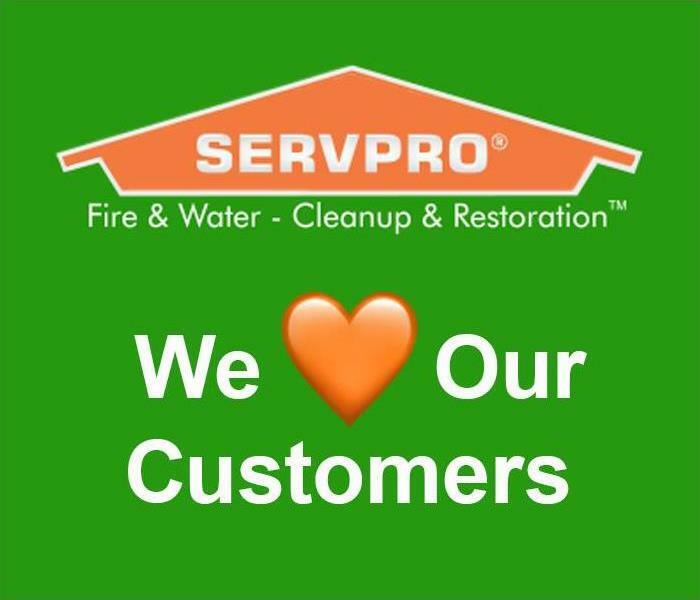 Since 1967, SERVPRO has been dedicated to keeping our customers happy. SERVPRO of Southeast Portland is proud to be able to carry on this tradition. Our mission is to leave each job, large or small with our customers being 100% satisfied. 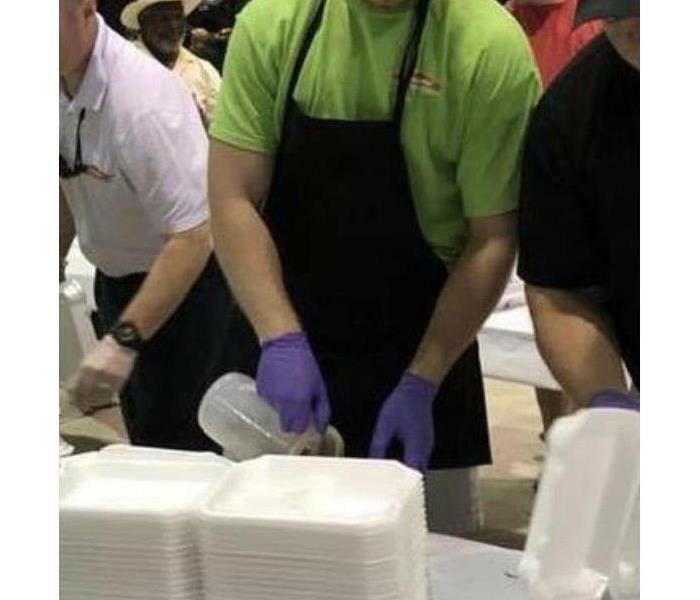 SERVPRO is invested in the local community and making sure our neighbors are taking care of quickly and efficiently and in constant contact every step of the way. Using a customer centric approach in every customer interaction is how we ensure satisfaction. We know there is not a one size fits all answer for any situation. For this reason we help to find an individualized solution that meets the needs of your unique circumstances. We are proud to be a service you know and trust. The picture shows drying equipment in use in a room were base boards were permitted to be removed for the drying process. SERVPRO of Southeast Portland was referred a local job by a commercial organization back in December 2018. A sink had a malfunction, causing water to pour out and over the bowl rim during the night. When the store manager went in, she was shocked to discover flooded floors the next morning. She called it in and the company called us for the job. The water effected not only floors but base boards as well. 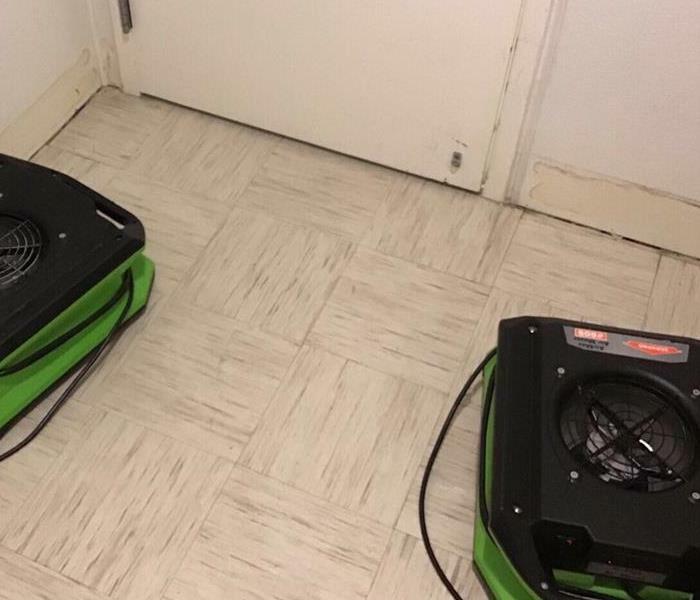 SERVPRO of Southeast Portland went in and did the job in a timely manner making sure to never got in the store employees way during the drying and remediation process. Even during store hours our techs made sure it was convenient for the employees to not disturb the customers. In the time it took for us to get the job call in and completed the company was extremely pleased and said they would continue to use SERVPRO of Southeast Portland for any other jobs they would need done. The damage was from a plugged up drain. 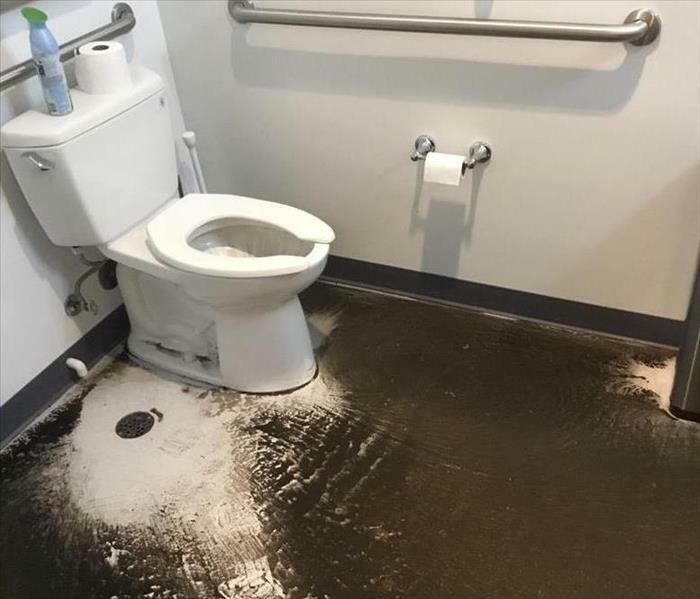 A Chiropractic and Wellness center located in SE Portland experienced a plugged up drain in one of their restrooms. 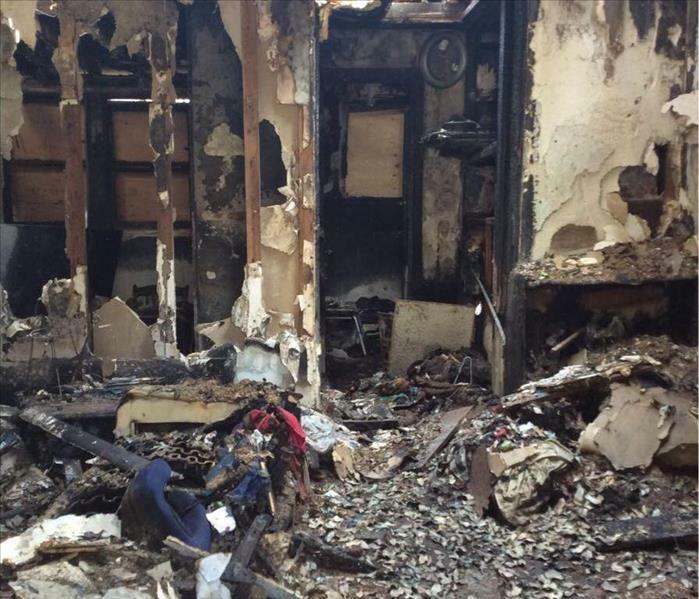 The owner contacted SERVPRO of Southeast Portland frustrated with what had happened to them. SERVPRO of Southeast Portland reassured the client and told them we would be able to arrive on the spot within the hour. We arrived promptly and walked the loss with the owner. The damage affected the entire building, spreading through the entire first floor going through multiple rooms as well as contaminating many contents. SERVPRO of Southeast Portland was able to go in and get the job done efficiently and effectively. The picture shows the before of the source of damage. The owner was extremely pleased with our fast response time as well as our overall remediation process. With the time it took to get everything completed and how up to date we kept the owner with the entire process through to completion.